The welfare and livelihood of our brethren is something that is, and should be, of utmost importance to us. In that vein, R’ Moshe Feinstien zt”l ruled that when one is dismissed from his position,his former employer must pay a pension of Chodesh L’shana, one month of pay in return for every year the position was held. 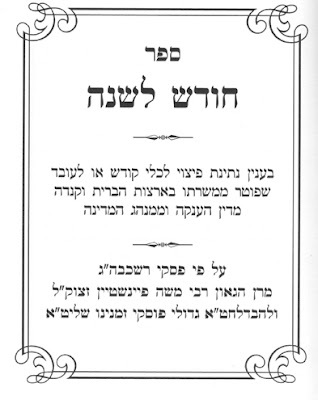 Sefer Chodesh L’shana is based on this Psak of R’ Moshe. 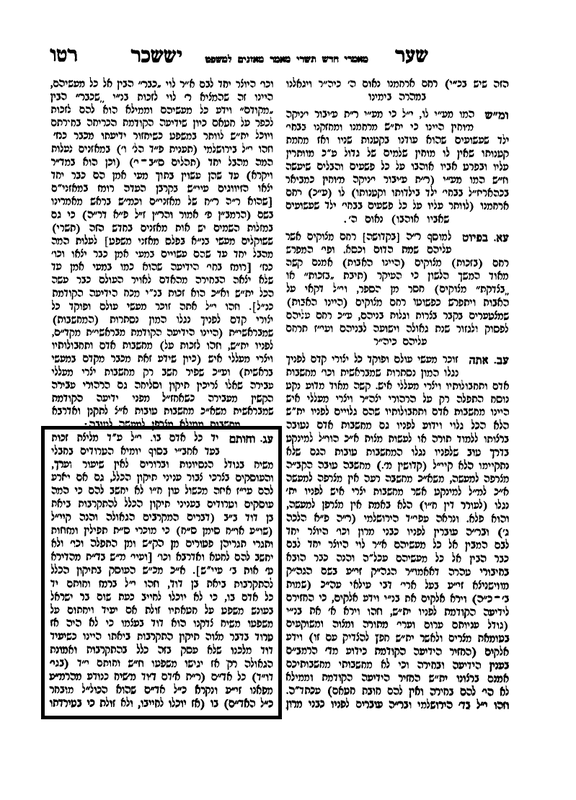 It discusses the background of the Shaila and explains what R’ Moshe based his Psak on. An important element of the Shaila is what accepted practice is, since we assume that an employer accepts on himself the standard pension in the Jewish world. To show that the accepted norm is indeed a month for a year, Chodesh L’shana includes in it dozens of letters from Batei Din and Rabbonim from all over the world attesting to the fact that they in fact follow the arrangement of a month for a year. 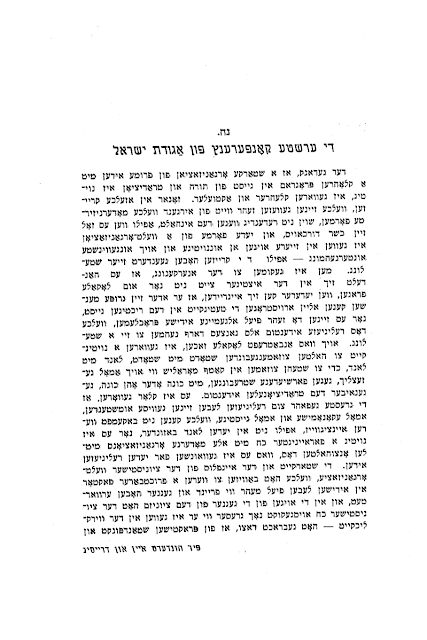 The arrangement of Chodesh L’shana, though seemingly new, has its precedent in the Rishonim.The Chinuch (Mitzvah 482) when discussing the Mitzvah of giving gifts to an Eved Ivri who is leaving his servitude, encourages any employer to furnish a worker who is leaving his service with an appropriate send off. 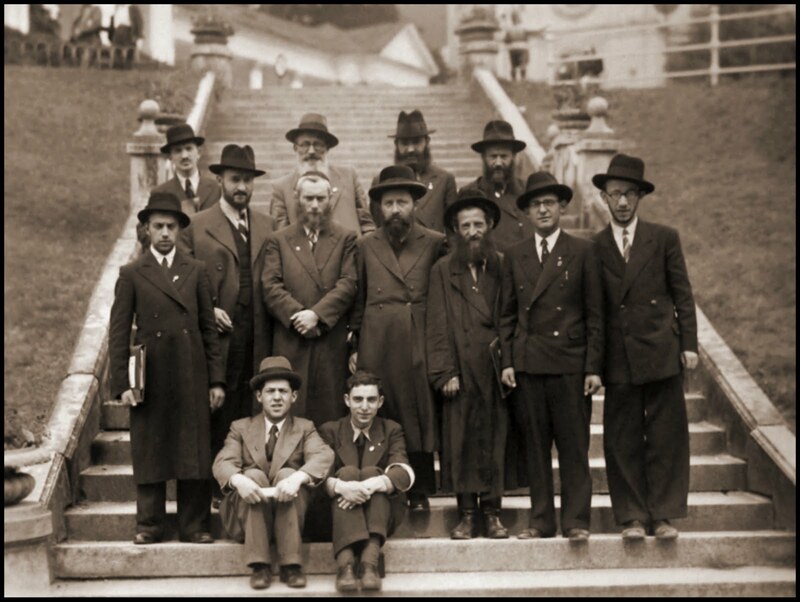 Nothing less could be expected of the Jewish people whose Simanim include the Middos of Rachmanim and Gomlei chasadim. 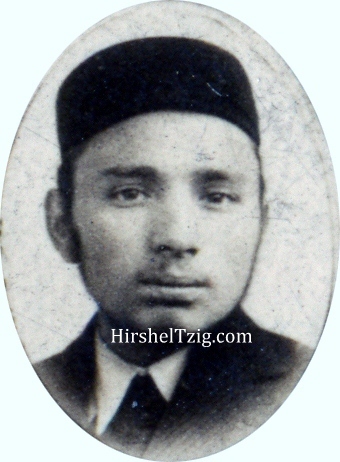 Reb Yossel Weinberg was from a family of Trisker Chassidim ( I once heard from him that the Trisker Rebbe put tefillin on him for the first time) in Poland who joined the Yeshiva Tomchei Tmimim in Otwock and became a fiery and very devoted Chossid of the Frierdige Rebbe, and later the Rebbe. 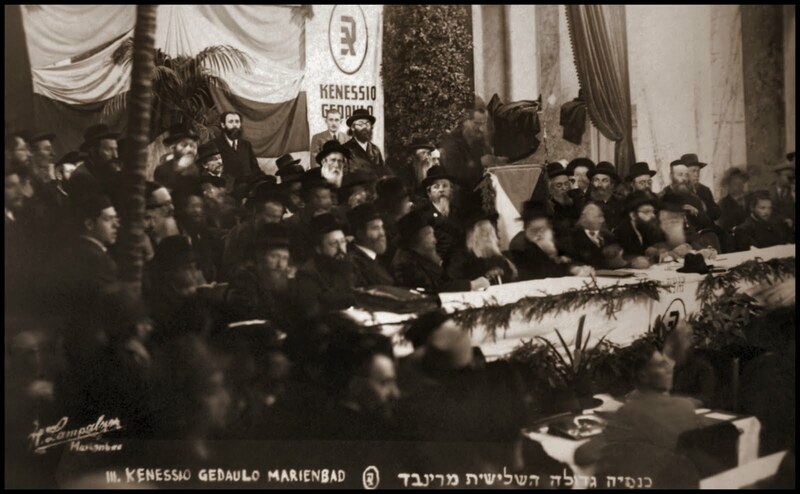 He was a fundraiser for the Yeshivos Tomchei Tmimim in New York who used his travels to spread Yiddishkeit wherever he went. 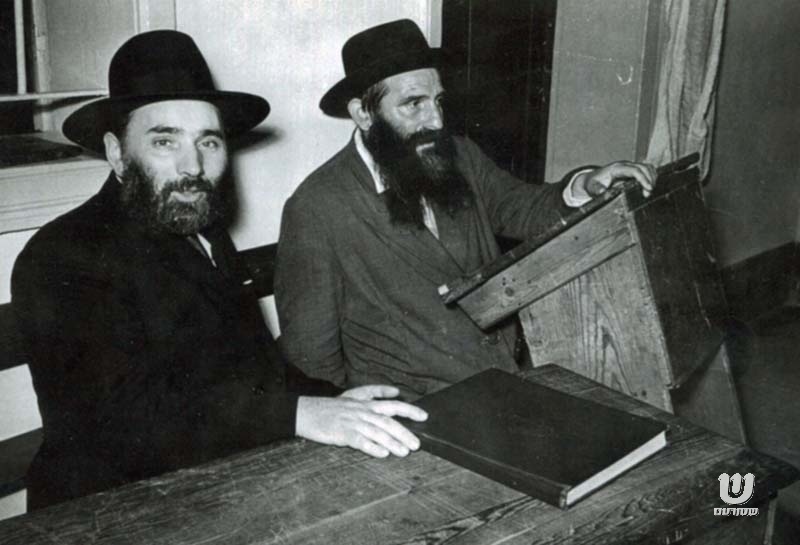 His weekly shiur Tanya was listened to by thousands on the "Jewish" radio, and his shiurim were later compiled into שיעורים בספר התניא in Hebrew and Yiddish, as well as '"Lessons in Tanya" in English. 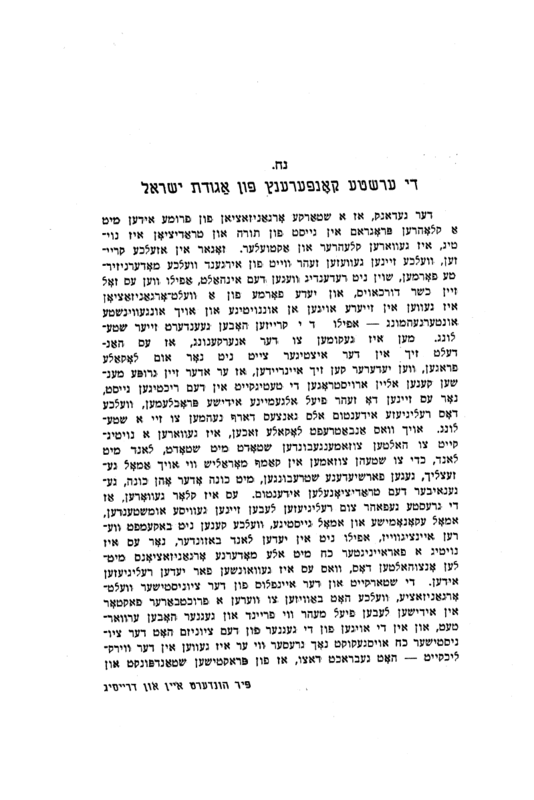 He also took that opportunity to review a sicha of the Rebbe, זי"ע, and thus be עוסק אין הפצת מעיינות הבעש"ט ותלמידיו לקרב הגאולה שלימה. But most of all he was a varemer Chassidisher Yid who served Hashem with love and fear and helped his fellow Yid as much as he can. He left a family of Rabbonim, Talmidei Chachomim, Shluchim of the Rebbe who follow in his ways and the דרכי החסידות. אדמו"ר הריי"צ על הרב ויינברג: "עסקן חרוץ להרבצת תורה"
הרה"ק בעל מנח"א זצ"ל מכריז: "שלוחי ליובאוויטש לא יחשב להם אם יצא איזה עון!" א רחמנות אויף דער אזוי-גערופענע ליובאוויטשער חסיד וואס קען זיך נישט ערלויבען פארען אהינצו ווייל ער דארף זיין בעטאלע און זיין קאווע מיט מזונות שבת צופרי. (כאטש אז קאווע מיט מזונות איז פאראן דארט "לרחצה") אביסל זיך אוועק געבן פאר'ן רבי'ן איז אזוי שווער ביי אייך? איין מאל א יאר פאר 24 שעה איז צו פיל? נאר געבן דארף מען אייך, נאר נעמען קענט איר, אביסל געבן קענט איר נישט? מילא אז די טאג איז ביי אייך א געלעכטער אדער אן "אתחלתא דגאולה" פארשטיי .איך. ס'איז א רחמנות און אפשר נאך ארגער, אבער מ'קען עס פארשטיין אבער טאמער האלט איר אז אזא טאג מאנט א חשבון הנפש ווי קענט איר נישט זיין אין די ד' אמות, ובפרט שבת ??? I wonder what kept him frum... The Agudah? "דרשת הגרש"א לוין שליט"א בענין יתד נאמן"
Rabbi Levin, head of the "Chofetz Chaim" institutions in Buenos Aires, Argentina, is known as the לוחם מלחמת השקפת מרן ראש הישיבה זצוק"ל. Here he bemoans the fact that the Israeli Yated (no connection to the American newspaper with the same name) will no longer be run by those who claim to be ממשיך that דרך. We had very high hopes for Mishpacha magazine when it first appeared on the newsstands, but we then realized that the masses still make up the majority, and they need to be catered to, not to mention that they get very nervous when any magazine tries to educate them in new ways... 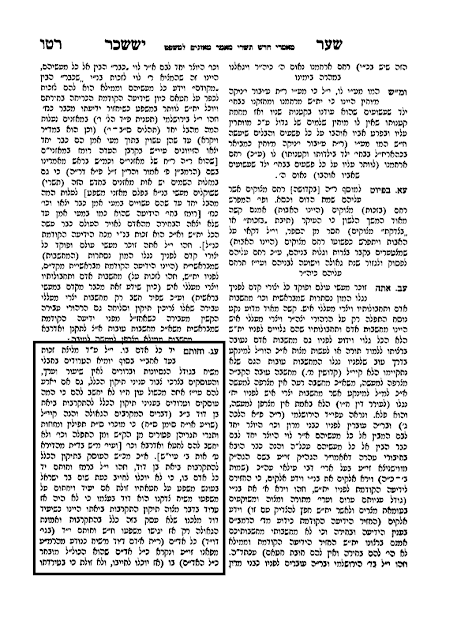 So, for the most part, save for an article here and there about Lubavitch or Rabbi Hershel Schachter, The Yeshivisher Oylem's two pet peeves, Mishpacha takes the road most traveled. And that's a good thing! I have young children who read it every week, may they live and be well, בלע"ה, and I need them to at least start off rock-solid! But this here article is good! It asks the questions about the city of מונקאטש that need to be asked, and gives honest answers, all the while giving good historical background to the famous film we've seen many times by now. Did he take credit for the Hey Shvat "Tish"?? 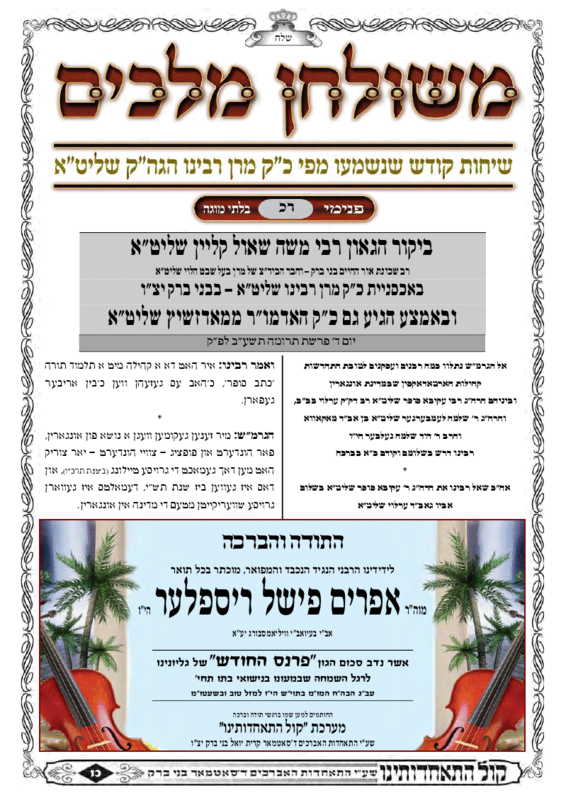 This is NOT an attack on Reb Mike Tress, z"l.
Maybe it's me and my bias, but it sounded like the juxtaposition of the two terms, Agudas Yisroel and Hey Shvat Tish were supposed to tell us that they were somehow related. 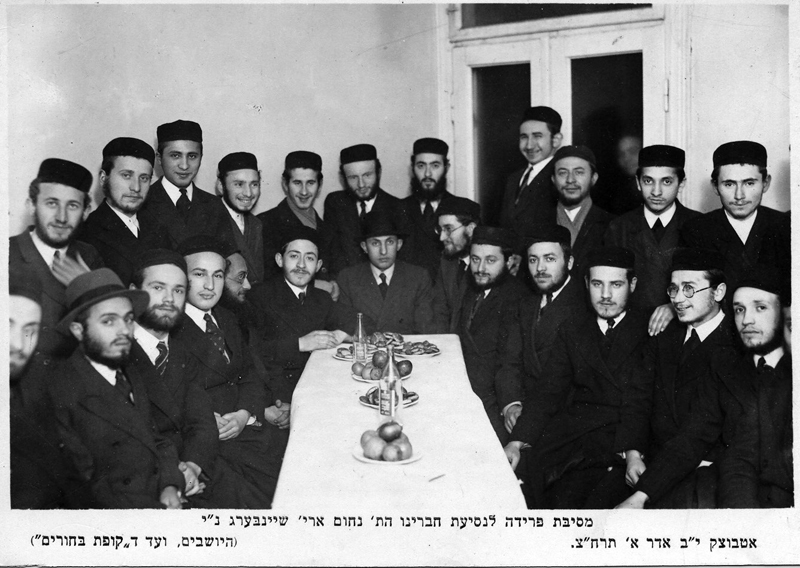 That the reason survivors could sit down to a Hey Shvat gathering was because they were members of Agudas Yisroel. Nothing to do with the fact that were Gerrer Chassidim... I realize that he was speaking to an Agudah assembly and was trying to speak of the Agudah's activities among survivors, but still, it's a bit of a stretch. Then again, it could be my inherent bias that drives me. It often was and is the case. Is Chabad OK if Yossi Sarid hates them? Yossi defends the mall that barred the Chabadnik from entering last week Wasn't their big "crime" that the Chilonim loved them and hated the rest of frum Jewry? I see he uses some of the same complaints that some of our Chassidic brethren use, like "would they allow us to come and preach in their schools?" His home and his mall is his fortress, and please don't bother him there. hmmm. Did they have some kind of anti-Chabad conference that I missed? "When I was a child, I never paid attention in school. I was lazy and did not want to concentrate. Then one day when I was 11 years old, I came home from school and heard my parents talking. My father was explaining how he'd spoken to my teacher and together they'd concluded that I'd never amount to anything in terms of scholarship. So, my father explained, he was arranging to enroll me as an apprentice shoemaker as soon as I became Bar Mitzvah. "I was so shocked by this conversation that I ran to my parents and exclaimed: 'I'm sorry I've been so negligent with my studies. Please give me one more chance to prove that I'm a good student.' And from that day onward, I applied myself to the study of Torah with tremendous vigor and dedication. Since then I have not wasted a moment and it is that devotion which has enabled me to write the commentary which we are celebrating today." Then the Netziv continued: "But just imagine what would have happened had I not overheard my parents' conversation. I'd probably have ended up as a shoemaker. And I'd have been a pretty good shoemaker besides! But think of what would have happened at the end of my life when I'd get up to the Heavenly Court and they'd ask me: 'Naftali, (or Hirsh Leib - HT) show us what you've done with your life.' And I'd proudly show them my beautiful shoes: the fine workmanship, the quality leather and the exquisite design. "And then they'd ask me: 'But Naftali, where are all the books you were to publish? Where are your 10,000 students?'" The Netziv continued: "And what would I possibly respond??" 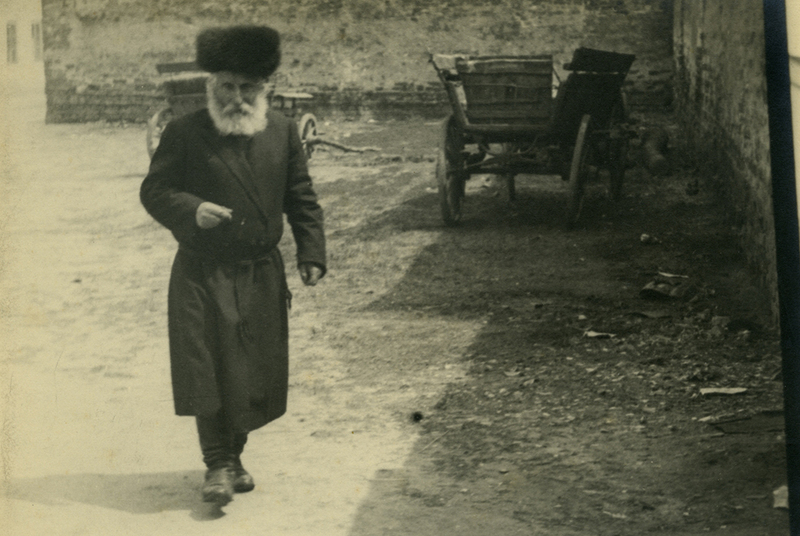 Reb Avraham Yehoshua said that when Rav Shteinman reaches heaven, they'll ask him "Where are the shoes?!" 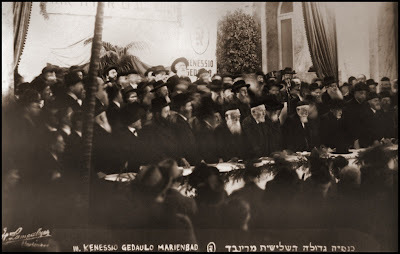 R' Meir Berlin writes about the First Agudah Conference in Kattowice, 1912. Click here for full PDF on Scribd. 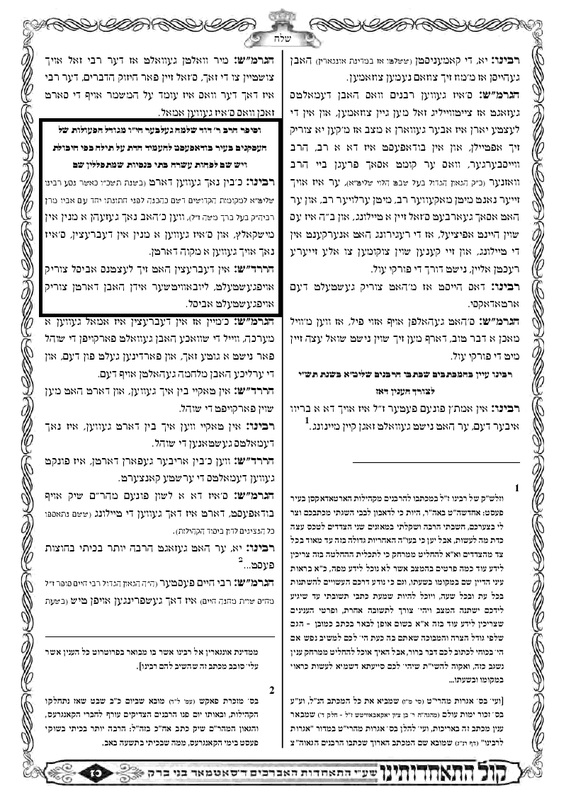 This is בהמשך to last week's post about the current Agudah's ad in the paper using Reb Chaim's image. נשא תורה" נוסח פאפא תשע"ב - מ'ציהט צוריק"
Dibros Koidesh - Internet - Nusoy 5772 כ'ווייס נישט צו דאס שטאמט פון וואוינען אזוי נאנט בשכינות צום סאטמערער הויף, אבער די וועלט רעדט אז פאפא קוקט אלע מאהל אויף צוריק צו זעהן צו וואס זיי טוהען שטימט מיט די סאטמארע שיטה, און צו פאר סאטמאר געפעהלט וואס זיי טוהען. דאס רעדט מען סיי אין עניני "קדושה" ווי צב"ש די בגדי נשים, און סיי אין עניני שיטה, ווען עס קומט צו די "השקפה הטהורה." כאטש פאפא רביים זענען שוין דורי דורות בעלזער חסידים, פילען זיי נאך ווי זיי זענען אונטערטעניג צו סאטמאר און מוזען זיי געפעלן. כאטש אין דעם פרט זעהט אויס לכאורה ווי זיי וואלטען יא גוט געשטאנען אין דעם אז זיי האבען זיך באטייליגט אינעם גרויסארטיקן "כינוס כלל ישראל" וויבאלד אז די סאטמורים אנשי רז"ל-ראדני זענען יא געווען אין מאסען, אבער דאך זענען די אנשי מהר"א די שטערקערע צד, און דער עולם נעמט אהן אז די רבי פון קרית יואל שטעלט פאר סאטמאר. ממילא האט מען אין פאפא געשפירט נייטיג אויף צוריק צוהען און זאגען לאחר המעשה אז באמת האט נישט געזאלט גיין - פארוואס? ווייל זיי זענען שוין איינמאל "יוצאי אונגארן" און דארפען די תקנות מיהאלאוויטץ תרכ"ו. מ'דארף האבען מסי"נ אויף נישט זיך באנוצען מיט'ן טריפה'נעם אינטערנעט, זאגט דער פאפא'ער רבי, דאס הייסט אפילו אין ביזנעס, און אפילו געפילטערט. 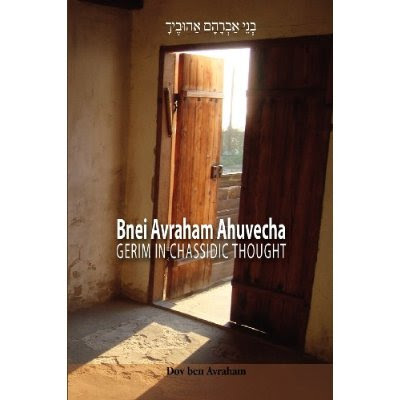 Review: [For Two Cents Plain] Dov ben Avraham has written a book that is truly a "first," in any language. 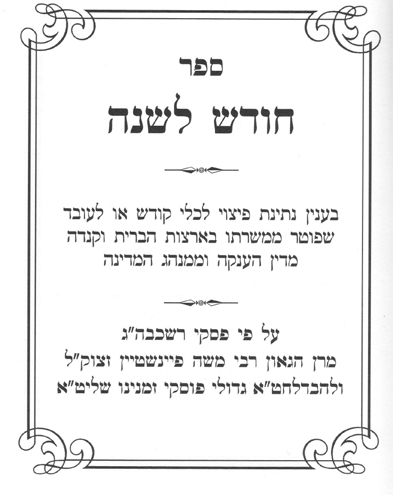 With this readable, well-organized volume, he has presented a wide range of Chassidic teachings related to converts to Judaism and the conversion process, accompanied by his own insightful explanations of kabbalistic ideas. 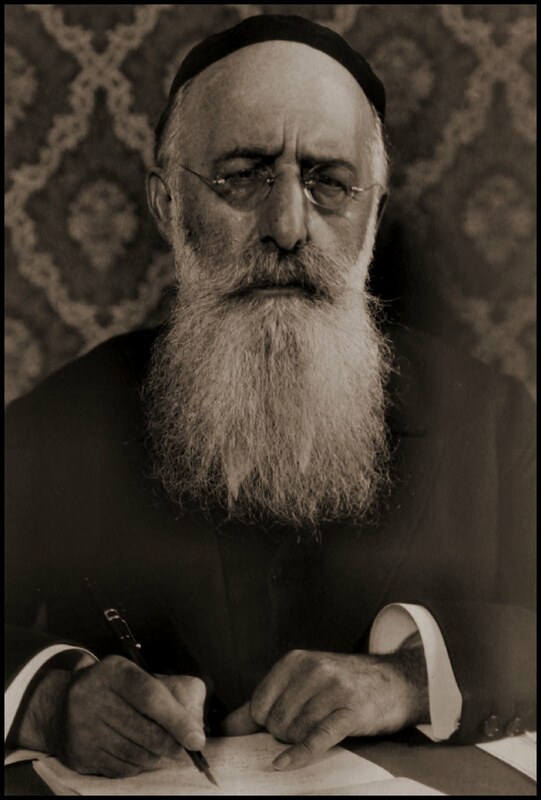 His work was reviewed by many prominent rabbis, whose letters of approbation appear at the beginning of the book. 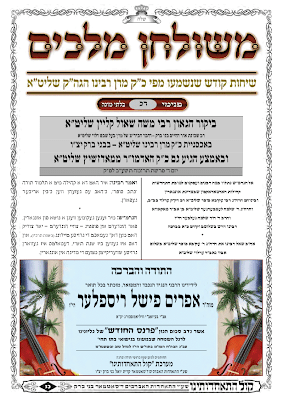 Plus there are essays relevant to the subject by others, including several well-known Breslov teachers. This should be of great interest to anyone interested in this subject, particularly since much of this material is hard-to-find. It also shows another side of the usually insular Chassidic world: its strong affirmation of those who are "Jewish by choice." For all this, the author deserves our gratitude. The descent of Matisyahu is a direct lesson for people in power, especially Shluchim who need programs to promote to their communities. The lesson: Never sacrifice an individual for community inspiration. Maybe that's a slight paraphrase of, "When working for Klal Yisroel, don't forget Reb Yisroel" - or in this case, Reb Matisyahu. Shluchim gave Matisyahu his platform. Not just his first platform, but year after year of platforms, which translated into press, and then Sony noticed him. Shluchim on campus noticed his attraction to their college-age crowds and started the trend, then communities picked up on it. Shluchim may believe that they have no responsibility to think through who they bring to entertain or lecture for their community beyond checking that the person is kosher. Shluchim may believe that they have no reason to consider the impact on the performer or lecturer themselves. They are wrong, wrong, wrong. The first question every Shliach should have asked is the same question they would have asked about their own Baalei Teshuvah and community members - is this right for the Baal Teshuvah, for the person, not is this right for my community. Did no Shliach notice that he was back to doing drugs almost immediately? Did no Shliach realize they were propping him up as an example for their communities, and Lubavitch in general, when he had barely acquired anything of his own to give? The message became, don't follow Torah, Mitzvos and Chassidus, follow the celebrity and Sony contract. 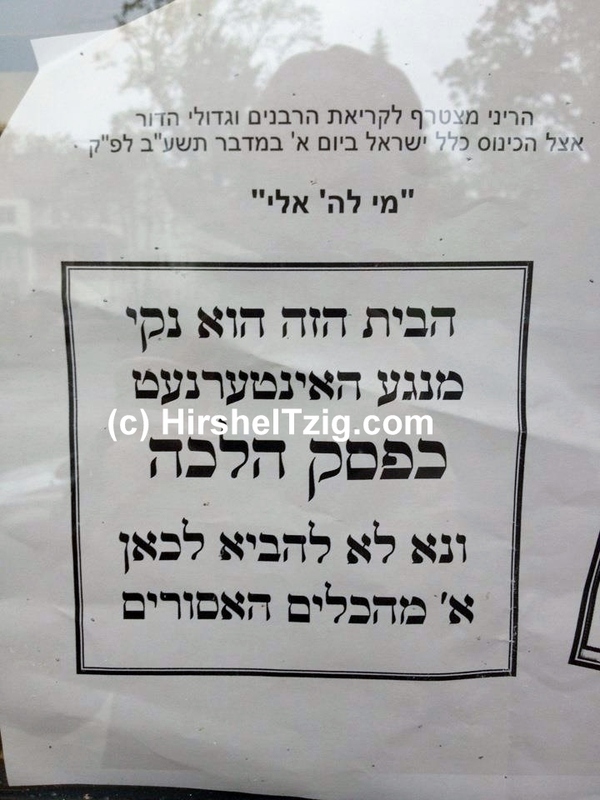 Shluchim vet visitors to their Chabad houses from other towns carefully. As they should, there are crazies out there. Witness the firebombing of the California Chabad house. Phone calls, references, some chatting to feel the visitor out, whatever it is, Shluchim check. The same vetting should apply to entertainment, not only for its value to the community, but for the value to the person performing. Matisyahu isn't the first person to inappropriately join the Chabad house circuit, only the most prominent. The problem takes other shapes as well, such as the direction given staff - bochurim or bochurettes - when they come to a community to run camps or programs. I don't know how far down the responsibility goes - rumor had it back then when Matisyahu started his career that his mashpia encouraged him in his path of celebrity, which is outrageous - but we are each responsible for every yid, not only the ones we want to take charge of. In the spirit of the Internet Asifa @ Citifield, and being that I listen to Daas Torah in all its forms, I have decided to add an "e-mail only" option, where you can have new posts e-mailed to you and do not need to go online anymore. I too am concerned about your spiritual well being, not just the filter companies... You will have to go to the blog one last time and sign up, though. It's in the right sidebar, a little bit down towards the bottom. Once you enter your e-mail address you will immediately get an email to that account and will asked to verify the address. It will take all of six seconds. ניט מער. In the spirit of full disclosure I also must admit that one of the things that brought this on, beside for being asked specifically on several occasions, is that I've learned that this humble site has been blocked by certain filters. Yes, the "filteree" must explicitly ask to have all blogs blocked, but still. This cannot be allowed to happen. The channels of communication must remain open and unimpeded. The last and lone voice of sanity must be heard. 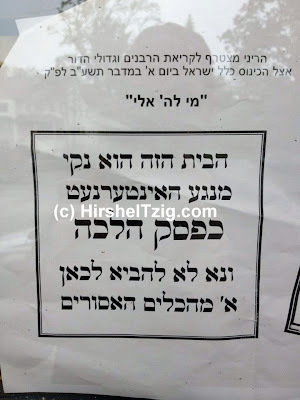 Is the Agudath Israel misusing Reb Chaim Brisker's name here? 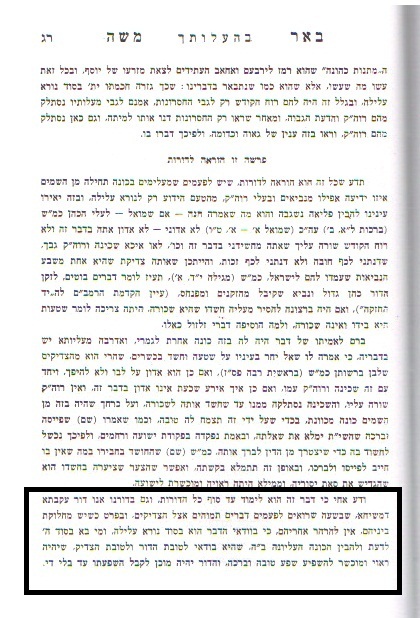 After all, Reb Chaim did rescind his support from the Agudah. So despite the fact that he originally supported the idea of an Agudah of Charedim, in the end he didn't. 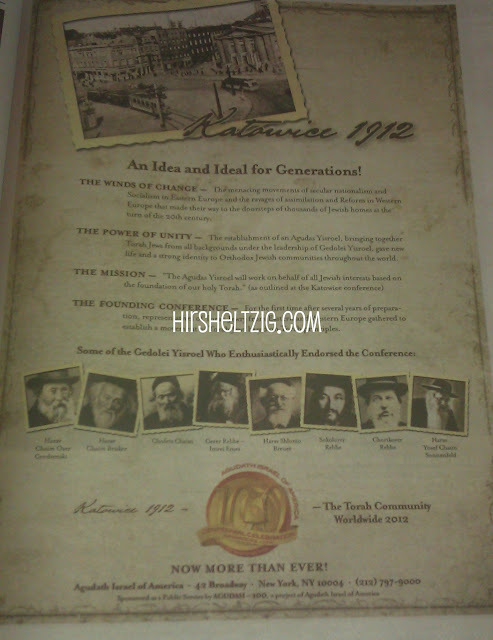 So to say, 100 years later, in an ad for the CURRENT Agudah, that Reb Chaim supported them, is somewhat disingenuous, no? Reb Chaim's picture is second from the left. Trying to reclaim the ModOrthodox? It's no secret that Artscroll is a Charedi company. Yet over the last two decades they've managed to corner the whole Modern Orthodox market when it comes to Torah literature, with most, if not all, Young Israels, etc. stocking Artscroll sidurim, chumashim and gemoras. 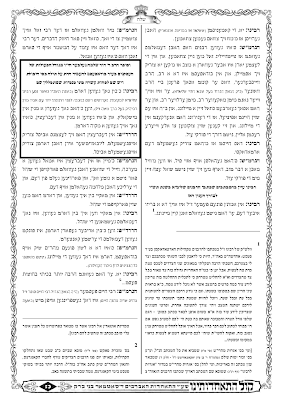 While Steinsaltz gemoras were popular for a while, it didn't take long for the more Modern Artscroll shas to take over as well. I speak of the English gemoros. I'd venture to say that many in the MO community were not happy with the "black-hat" takeover of their lives and were looking to end what they saw as an unjust takeover of their Torah lives. But what could they do? the juggernaut was too big and strong, so they threw in the towel and stocked their shelves with as many AS seforim as they could get their hands on. But now it seems like there may be hope for those non-Artscrollers, and it comes in the form of the Koren-Steinsaltz Shas, a modern Shas that stays with the traditional as well. The pronunciations just like the MO like them, with a nice, classic, Vilna Tzuras HaDaf. I don't know for sure if this was Koren's intention - to chip away at Artscroll's market share - but they may very well do it. א ציגעלע" - פון ר' יו"ט ערליך ז"ל"